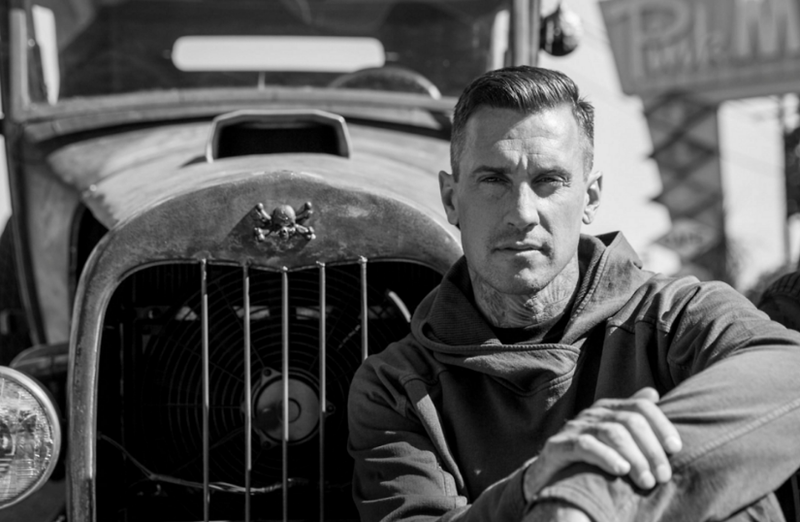 Carey Jason Phillip Hart well-recognized as Carey Hart is a Retired Motorcycle racer, Retired Freestyle Motocross Athlete, Off-road racer, Businessman. He is nicknamed as Vegas, Mr. P!nk, Hart. For performing a backflip on a 250cc motorcycle and becoming the first one to do so in a competition. For being the better half of famous American singer and songwriter, P!ink and appearing in several of her music videos. For his clothing and tattoo company named Hart & Huntington Tattoo & Clothing Company. 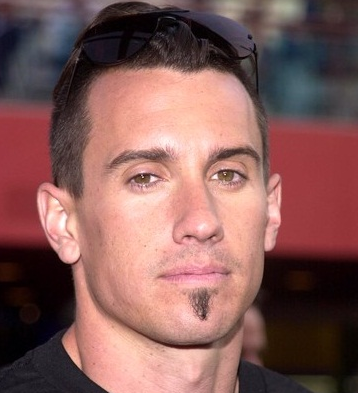 43-Years, Carey Hart was born on 17th July 1975 in Seal Beach, California, the U.S. His nationality is American. His father name is Tom Hart and mother name is Terri Lynn. He also has two siblings named Anthony Hart (Younger Brother) & Tony Hart (Younger Brother) (Died in August 2008). His sun sign is Cancer. His full name is Carey Jason Phillip Hart. His ethnicity is White. Hart stands 180 cm tall and weight of 75 Kg. The color of his eye is Hazel and the hair color is Dark Brown. His sexual orientation is straight. Hart started riding motorcycle quickly given by his father at the age of 4. In the year 1981, at the age of 6, he competed in races. In the year 1991, he had broken two femurs, broken tibia and fibula, as well as his wrists, was fractured. In the year 1993, at the age 18, he turned into professional and competed in the AMA Supercross circuit. He competed in Freestyle motocross in 1996, BMX trick the "superman seat grab" in 1988 to 1999, "invert superman" seat grab in 1999, Gravity games, FMX competitions in 2000, X-Games, Gumball 3000, Lucas Oil Off Road Racing Series and many more. He won the Bronze medal at the Summer Gravity Games and Gold at the Australian X Games in the year 1999 and Silver at the Las Vegas LXD Freeride MotoX and Toyota's Trick of the Week in the year 2000 and Gold medal at the Australian X-Games as well as gaining the Silver medal in the MotoX Best Trick at the Summer X Games in Los Angeles in the year 2002. In the year 2000, he backflipped in a 250 cc motorcycle in a competition. In the year 2004, he and John Huntington opened a company named "Hart & Huntington Tattoo Company" in Las Vegas and later this company also launched a clothing line based on the designs of the artists at the stores. After a year, he hosts for ABC's Live's X Games FMX and was cast on VH1 reality show named "The Surreal Life" in the year 2005. He then formed his first team named Supercross in the year 2007. He also created Las Vegas nightclub named "Wasted Space" with other teams in the year 2008 and also he released his book named "Inked: The Book" in the same year. Hart was awarded the 1st R.A.D. Lifetime achievement award in the year 2011. He announced his joining with Rocky Carmichael from Suzuki and Yoshimura R & D forming "RCH Racing" for 2013. He has appeared in Pink's "Just Like a Pill", "So What", "Raise Your Glass", "Just Give Me a Reason", and "True Love" videos. Carey made his film debut as himself in the movie "Crusty Demons of Dirt 2" which was released in the year 1996. Carey made his television show debut as himself in the first episode of the second season on the show "Ripley’s Believe It or Not!" in the year 2001. Hart is a married man. He married Pink, singer in the year 2006. The couple met each other at the 2001 X Games and started dating. The couple is blessed with 2 children named daughter Willow Sage (b. June 2011) and son Jameson Moon (b. December 2016). The net worth of Hart is estimated to have $20 Million and his wife, Pink has an estimated net worth of $175 Million. The salary of Hart has not been revealed yet and will be updated soon. His parents went through a divorce when Hart was still young. He started riding as a professional and competed in competitions from the age of 6. He has a full upper body tattoo which took over 300 hours to make. In 2000, he played bass for the band Pennywise in the Australian Warped Tour. He is the first rider to perform the superman and invert superman seat grab trick on a BMX. The latter stunt was termed as the “Hart Attack”.